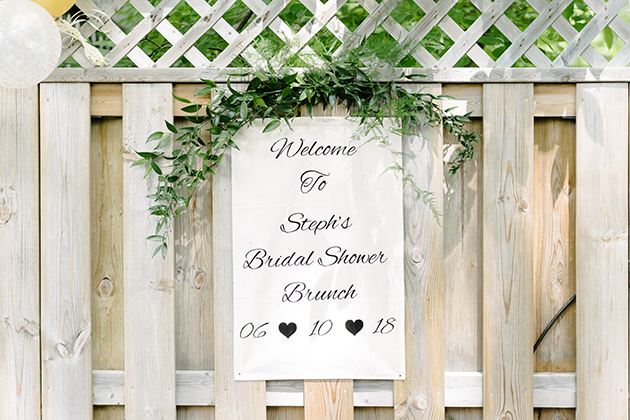 Stephanie and Shane’s backyard bridal shower is full of romantic and quirky charm. 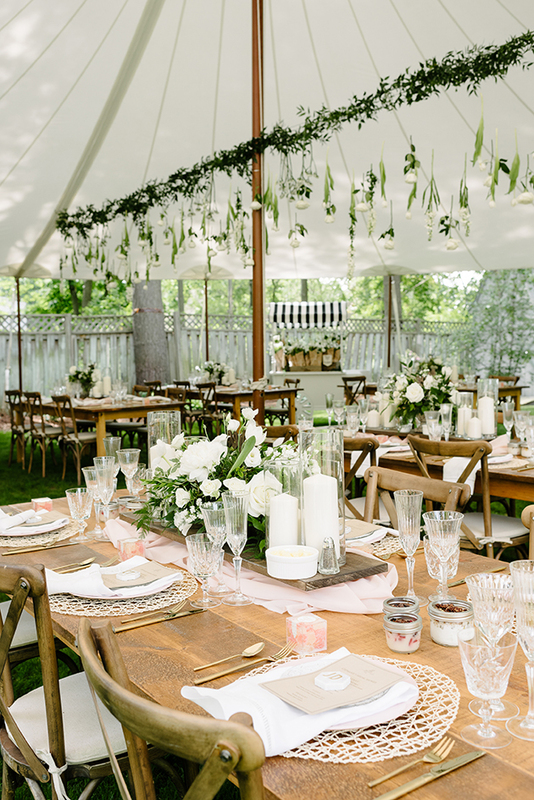 With the help of their family, they completely transformed their country house backyard space into a fun and whimsical spot for Steph and Shane to celebrate their upcoming wedding! 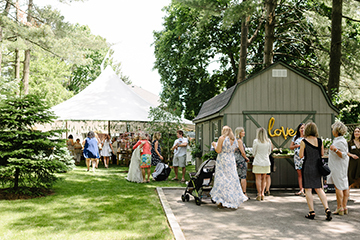 Upon entering, guests were treated to a custom summer cocktail that was created with Stephanie’s favourite flavours in mind. 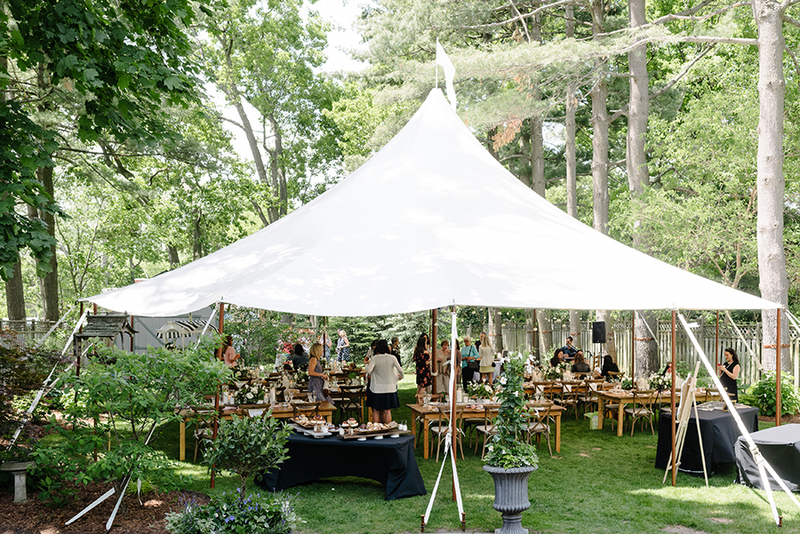 As guests made their way into the backyard, they were invited to step into the tented reception space filled with elegant barn furniture and delicate white blooms hanging from above. 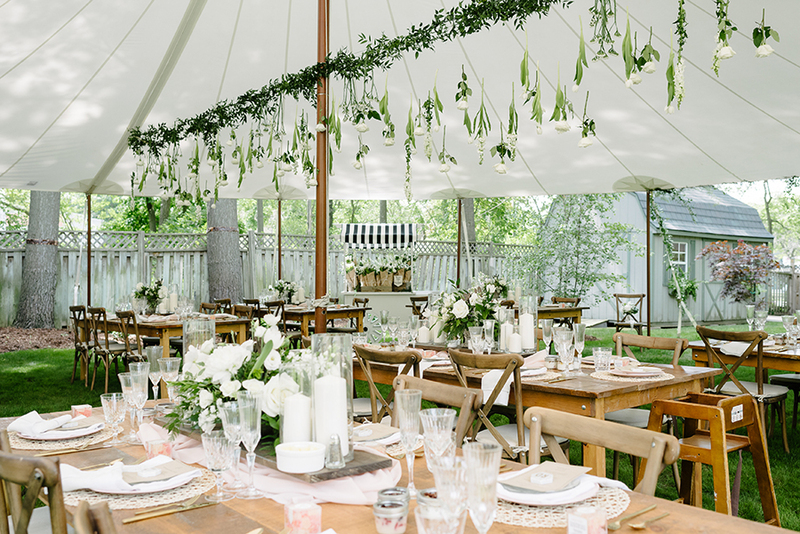 I love that Stephanie and her family stayed true to the backyard theme, by decorating the space with hand-made woven plate settings and replacing vases with rustic wooden boxes. 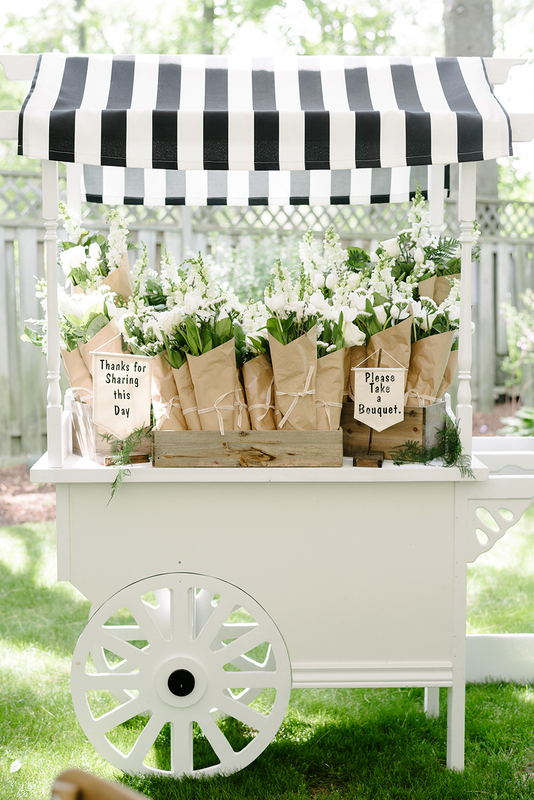 They also built a quirky flower stand where their guests were welcomed to pick-up their hand-tied bouquets from. 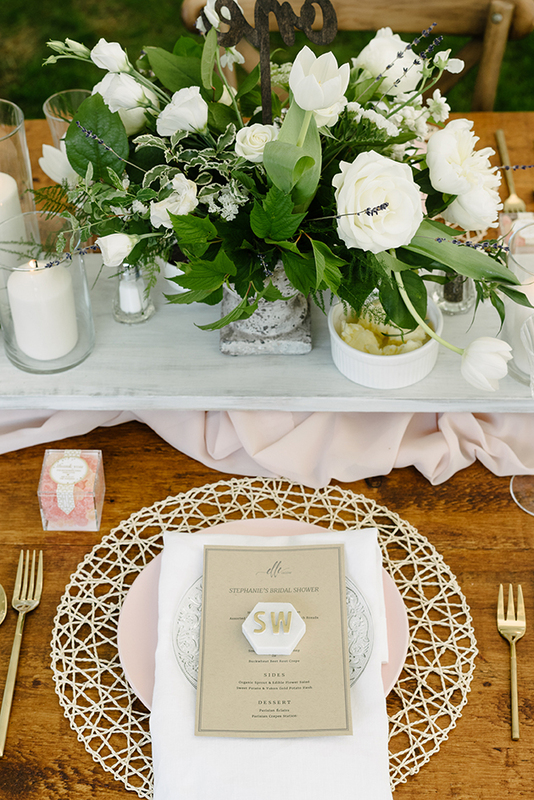 I felt honoured to be one of the guests at Stephanie’s special event since our relationship with her family goes way back to 2016, when we photographed her brother Orry and Tanya’s wedding. 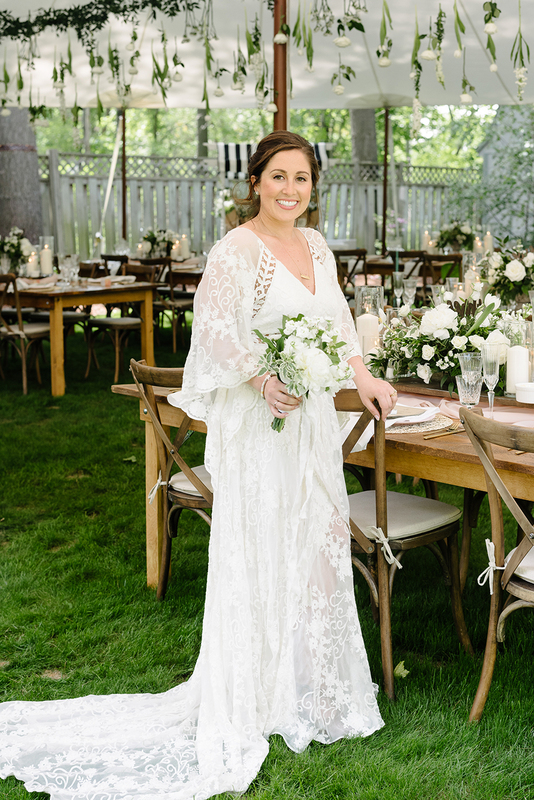 Their wedding took place at a beautiful Muskoka lakefront overlooking a breathtaking gorge. 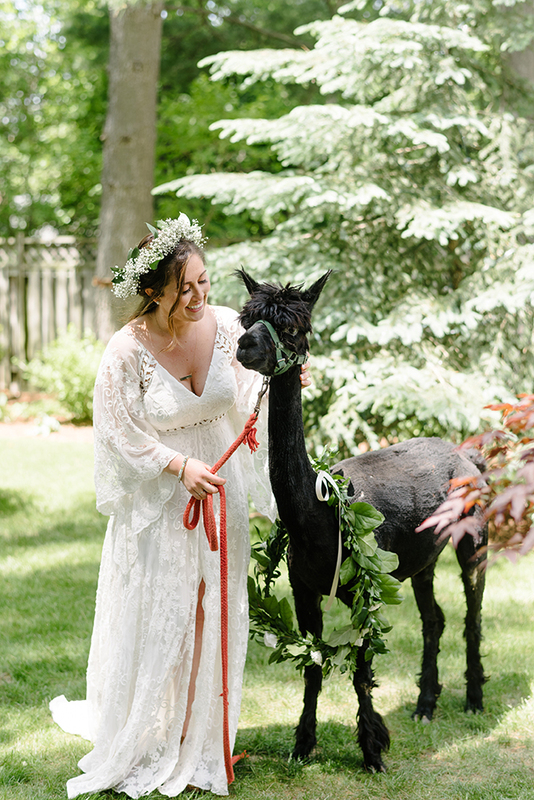 A fun story from their day was when Stephanie surprised them with 2 videographers who came to record their wedding! 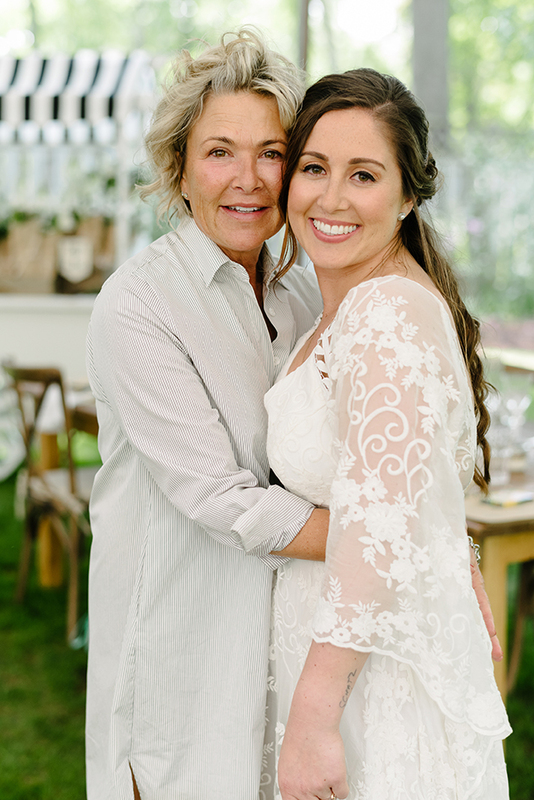 Two years later, I get to run into Orry and Tanya again at Stephanie’s bridal shower. 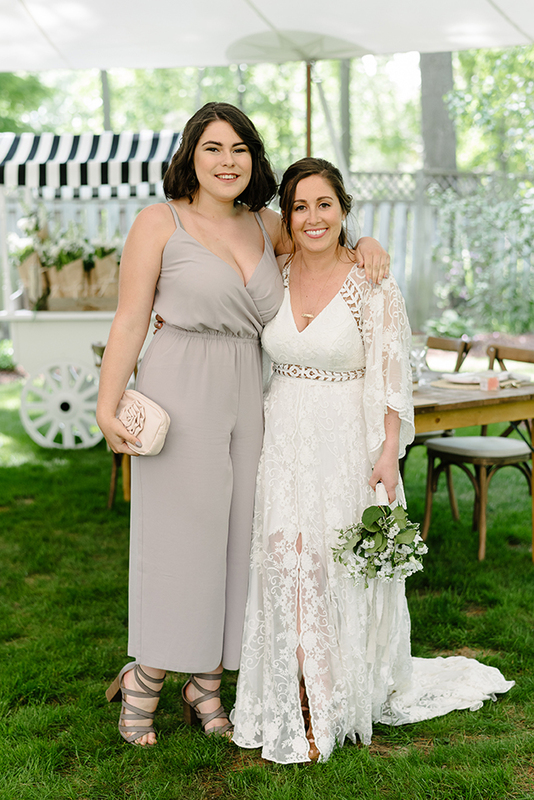 While Stephanie was busy with the last-minute prep details, Orry and Tanya confessed that it was their turn to surprise their sister. 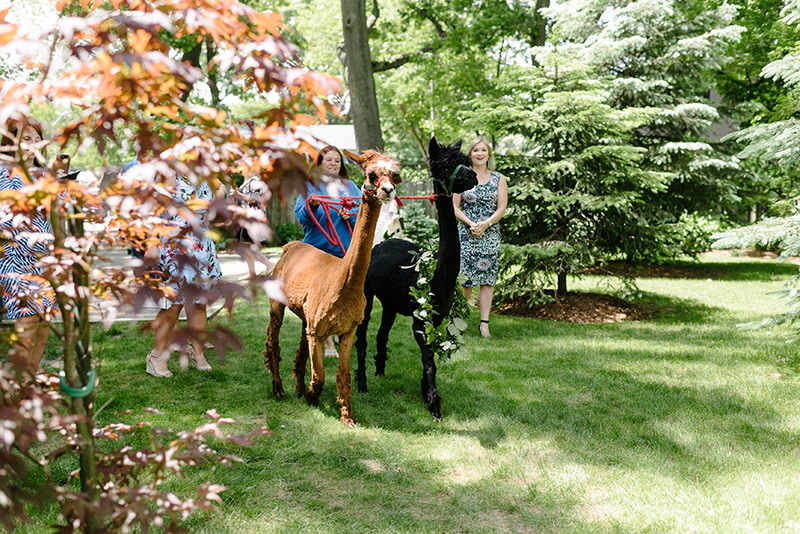 They hired two adorable alpacas to surprise everyone with at the cocktail hour! 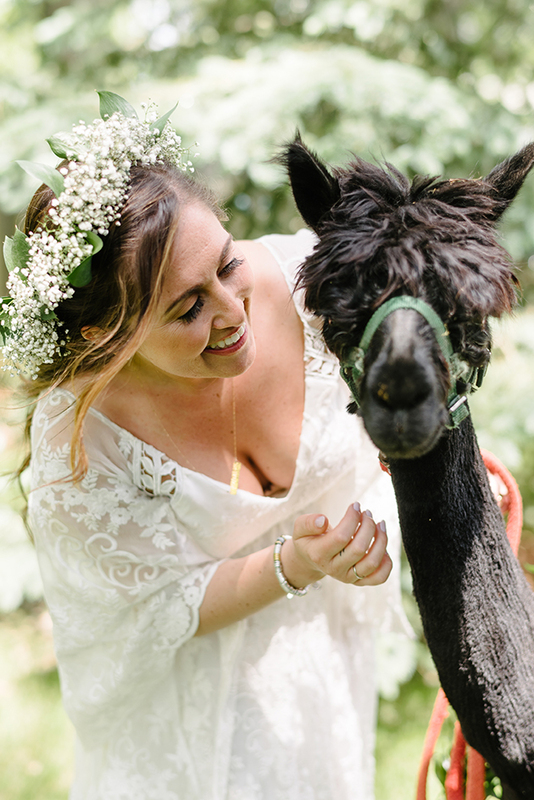 As Stephanie headed to the cocktail area, she saw her brother Orry entering the tent with two of the cutest alpacas! It was a total surprise and really made for a cool cocktail hour with everyone surrounding the furry guests and snapping photos. 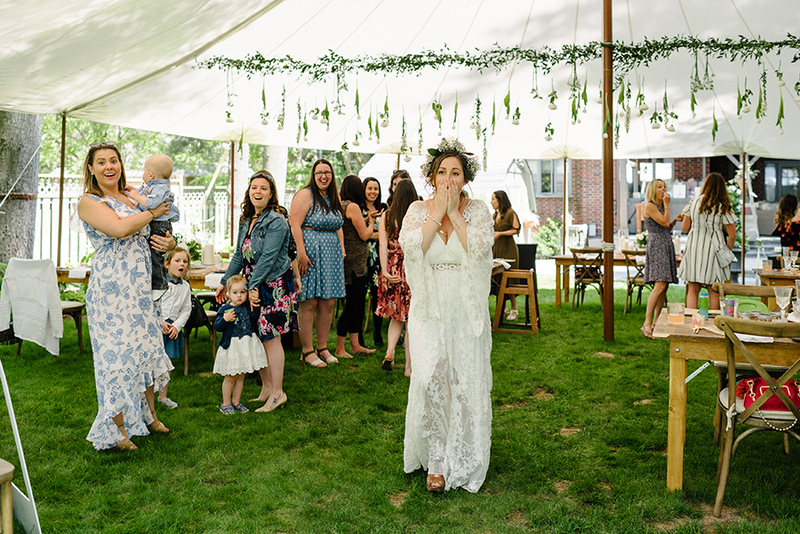 It was such a happy atmosphere and I had so much fun photographing everyone laughing and loving the event.